After reminding my dear of that moment 2 year back he told me to look into it. So, I googled "European buggy." I found 'it' right away. Clicked. Haha, should have known it would be out of our price range. Dang. After reading the reviews and all the cool things it could do [it better for that price, right?!?] I was more convinced that it would be perfect for us. Tuesday night I found it on Craigslist! It's a few years old but I chose this one second hand rather then a new cheaper one. 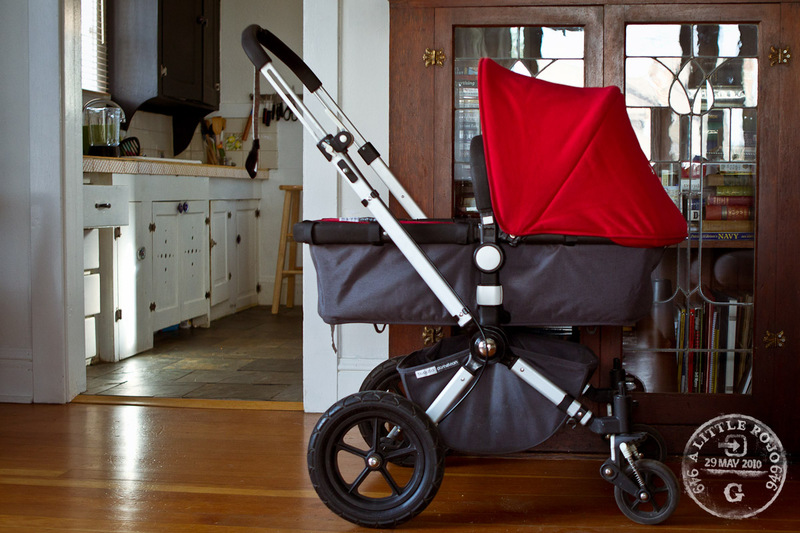 It will work as a travel bed, has a car seat adapter, has a sit up bigger kid option, the handle bars raise and most importantly it is very light. I can easily put it in the car. Tea drinking friend? Check out: The Vessel bottle. I LOVE mine and take it everywhere. My at home workout video, getting ready for the biggest workout of my life people! I wish I could make these. Go knitting artists go! Here is the pattern.